Spent the day in work today, surrounded by really freak weather. Sunshine with hailstones, quite warm, then suddenly freezing. 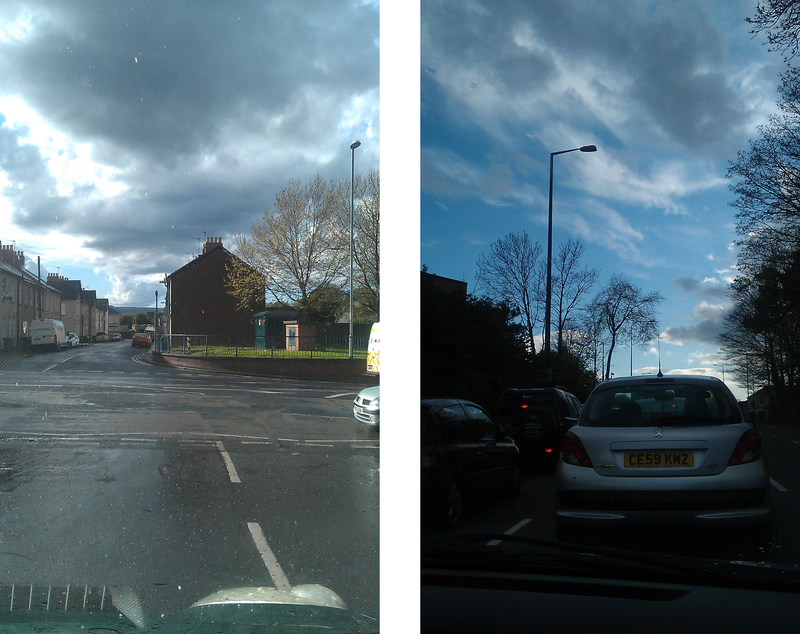 Took these photos while driving back to Cardiff to see my sister again!